When your plumb systems go wrong, it’s important to do whatever it takes to make them right again. If you have some repairs and replacements that are long overdue, then Plumbing Conroe is the best company for you; Read more to find out about our multiple Texas services that will make you happy and proud. Water heaters are the premise of any occupied family in Houston TX. In case you're, for example, most individuals, prepared and wide hot water spares your family running normally. 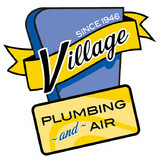 Fast, friendly, efficient plumbing service, GUARANTEED! If you are searching for a plumber to install, repair or replace a fixture, clear a drain, improve your water quality or install a new tankless/traditional/solar water heater for your home, we can do it all. We also provide comprehensive plumbing maintenance and 24-hour service to take away the stress of emergencies like backed-up toilets and flooded bathrooms. Whether you need to repair the kitchen sink, remodel the bathroom, or replace your home’s sewer line, we are the Houston plumbing contractor of choice. 97% of our customers tell us that they will use us again and will refer us to their friends, relatives, and colleagues. Many smiles is our commitment to quality and customer satisfaction. It’s our badge of distinction and your assurance of a job well done! When selecting a water heater for your home, choosing a water heating system that not only provides an ample amount of hot water for your home or business but one that also efficiently heats the water is of primary importance. The water heaters that we suggest are the most energy efficient and reliable on the market which is not only good for the planet but ultimately saves you money. We offer conventional hot water heater (storage tank) repairs that are both electric or gas depending on what you have in your home. We also repair on-demand or tankless (instantaneous) water heaters. We install water heaters and we repair them. We are proud of our reputation for professionalism and we strive to maintain the highest standards. 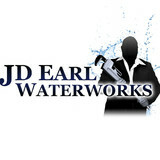 If your water heater fails, call us, we make it so easy. Providing you peace of mind by pulling the local building permit and installing the unit up to local code requirements. Required by law in most municipalities. Call us today and we promise you that we will have your water heater repaired and up and running in no time! When a home improvement job involves installing or repairing water, gas or other pipes, it’s smart to hire a licensed plumber in Conroe, TX. Their expertise can help prevent costly water damage to a home’s structural elements, and provide peace of mind that the job is done correctly. Building a new home or remodeling an existing one always calls for the skills of a certified plumbing company as well, so don’t hesitate to contact one for any project, big or small. Read further for more tips on hiring to best local plumbers in Conroe, TX. A plumbing contractor handles the installation and repair of water, sewage and natural gas pipes throughout a home, as well as interior and exterior faucets and fixtures. Plumbing contractors are also trained to work with water mains, septic tanks, laundry appliances, water heaters, sump pumps and other plumbing and pipe systems. Because plumbing repair work is done largely behind walls and beneath floors, some plumbing companies can also patch or replace tile, stonework and other surfaces. Although some Conroe plumbers are generalists, others specialize in specific areas; a 24 hour emergency plumber will handle urgent residential repairs, while others may be more skilled in remodeling, natural gas lines, overhead sprinkler systems and more. 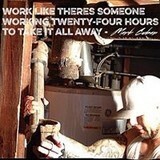 Find a local Conroe plumber on Houzz. 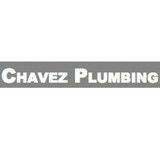 Narrow your search in the Professionals section of the website to plumbing contractors in Conroe, TX. You may also look through photos of Conroe, TX projects to find a licensed plumber who has worked on a project similar to yours. Here are some related professionals and vendors to complement the work of plumbers: General Contractors, Septic Tanks & Systems, Kitchen & Bath Designers, Kitchen & Bath Remodelers.